You guys, advertising is no joke. One week ago, I’d never heard of Outlander and although it’s way too early to make this call, I’d say I’m hooked on the show. And I just bought the book too! 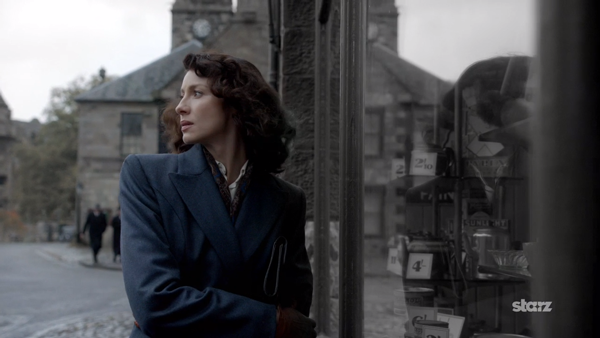 In case you haven’t heard of it, Outlander is a new TV series based on a series of books by Diana Gabaldon. 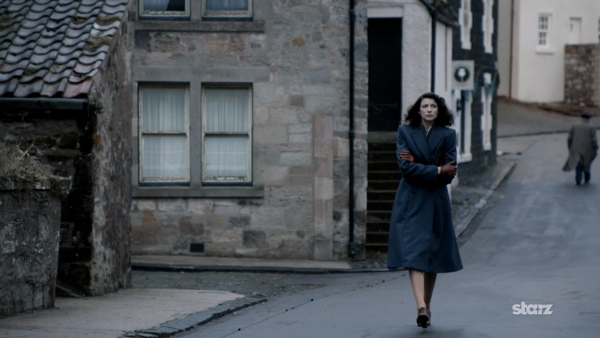 The main character, Claire, is a nurse during World War II, and after the war ends, she and her husband take a trip to Scotland in order to reconnect. 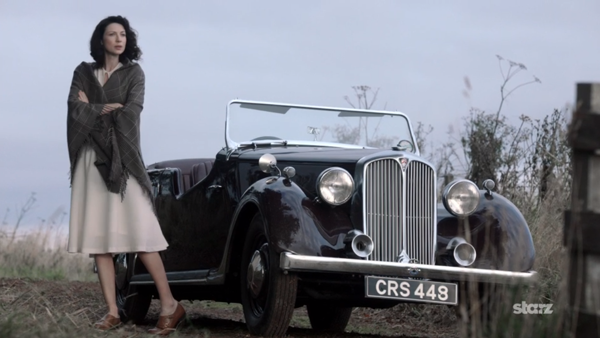 One afternoon when she is exploring some old ruins, she accidentally transports herself back in time and ends up in the middle of a battle between the Scots and the Brits. Of course she’s terrified and right now she’s trying to figure out what the hell just happened. 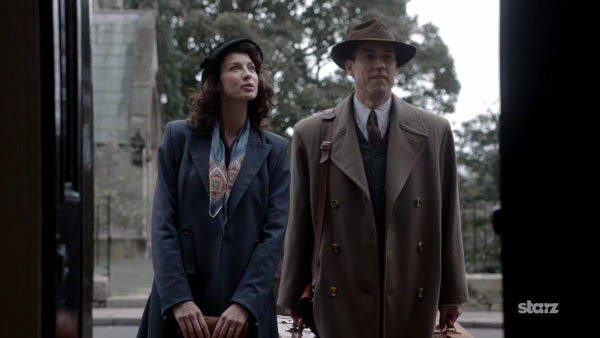 She’s already met a handsome Scottish man named Jamie and saved his life… What can I say? I love historical fiction/period pieces, and I’m a sucker for some romance as well. As I’ve mentioned, I just found out about this series and so far all I know is what I’ve seen in the first episode (which you can stream for free on Starz right now). 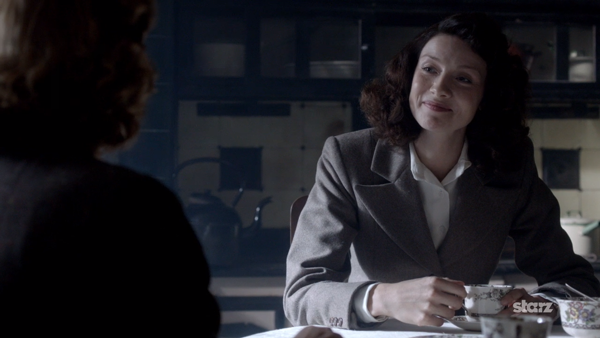 Right away, I fell in love with Claire’s 1940s style. Costumes are one of the best parts about period pieces, right? I thought it would be fun to take some of clothes she’s worn so far and give them a modern twist. 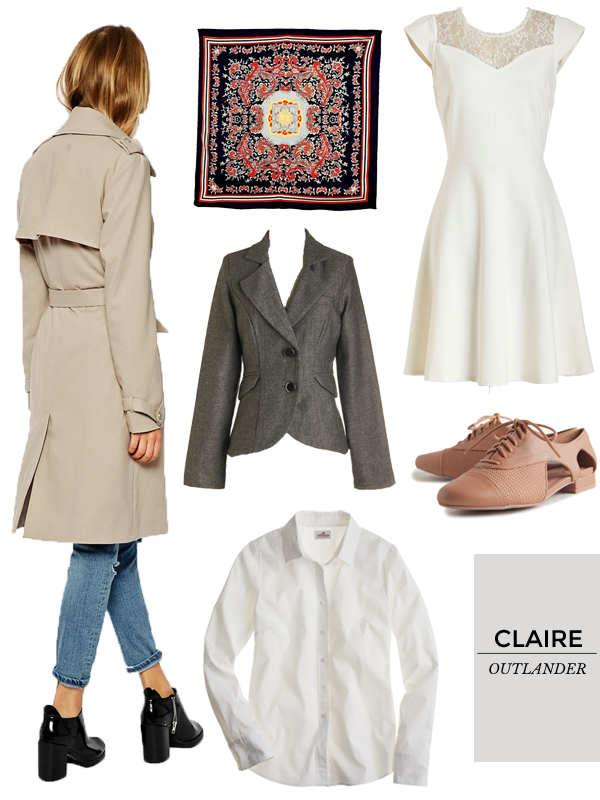 If Claire was walking around right now in the year 2014, what would she wear (WWSW)? From what I’ve seen, she likes classically feminine pieces in neutral colors. 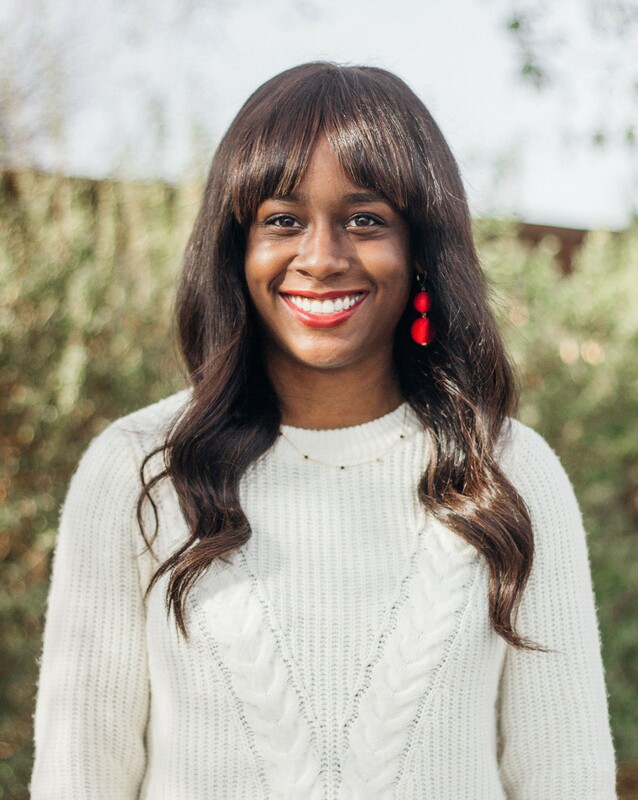 However, she’s also not afraid to throw in some masculine elements as well, such as trousers, coats with strong shoulders, and oxfords. Tell me: Have you guys seen the show or read the book(s)?